Just one day after their glorious performance at the Night Of The Prog in Germany, the successful ‘band of brothers’ did a show in Zoetermeer. Just before an intercontinental tour a good way to serve a faithful audience because -as the band stated themselves- The Netherlands has always been kind to Anathema. 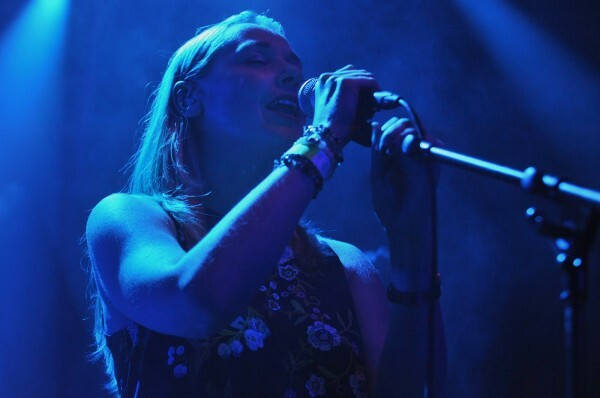 Before Anathema entered the stage there was a supporting band called Thine. A lot of energy and songs in the genre of prog-metal with a mere emphasis on ‘metal’. With no keyboards and two guitarists it is what one could expect. The band hails from Yorkshire UK and has ‘just’ three albums to their credit. “just’ because the band has been around for many years now: formed in 1996, their first album dates back to 1998. Laying low for a number of years due to ‘changes in life circumstances’, the band is back to front with their new album The Dead City Blueprint. 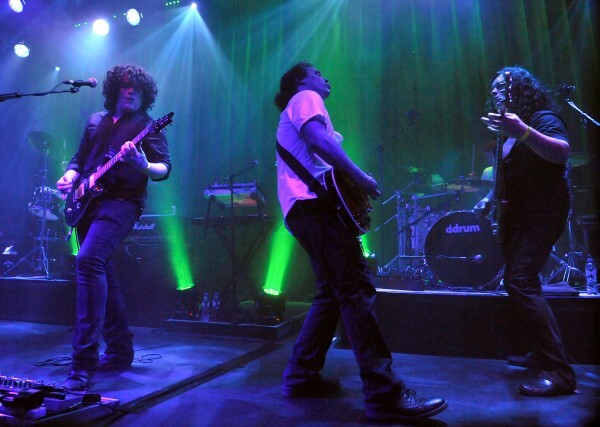 A solid performance, however not too much enthusiasm of the Dutch Anathema fans who didn’t seem to be too familiar with Thine’s music. Yet again a sold out ‘Boerderij’ for Vince, Danny and Jamie Cavanagh, Lee Douglas, John Douglas and Daniel Cardozo. It seemed like a big surprise to most Dutch fans to find drummer John Douglas ‘stuffed’ somewhere in the back, mostly standing in the shade and doing a bit of percussion, while keyboardist Daniel Cardozo played drums. Cardoso plays drums on the latest album but there were far more songs of older albums on which John played drums…. It did seem a bit odd but the show was nothing less to spectacular. Although the ‘real Distant Satellites Tour’ will take place in the late fall, the band played a full set of music somewhat comparable to their last live offering: Universal Live, although not performed with an orchestra of course. The opening, part of Pink Floyd tune, was surely a treat for all fans of progressive music in the venue and is equally proof of good taste. Lee Douglas seems to have accepted she’s a full time band-member and she really sang like an angel this night! The brothers Cavanagh were in brilliant form and it took less than a few minutes to have them make the whole venue shaking and singing along. Lighters and cellphones on ‘torch’ went out of all the pockets to pay homage to the victims of the tragedy with flight MH 17 over Ukraine through the extremely emotionally performed song A Simple Mistake. At the end it seemed like Lee would do the (lead) vocal of yet another song but the original set list got changed and with the up tempo songs Empty and Fragile Dreams, performed by ‘just the guys in the band’, the show suddenly ended while everyone was yelling for a second encore: it never came. 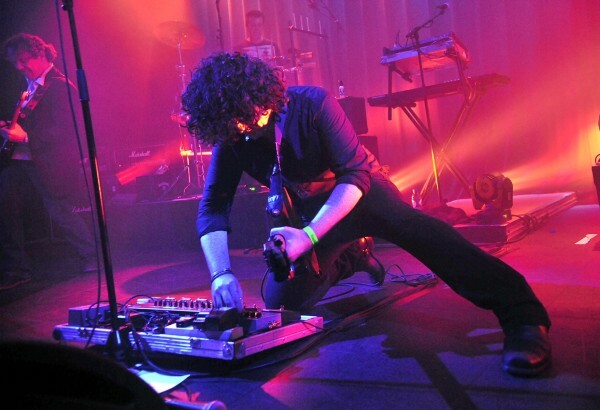 Though Anathema played for nearly two hours the show was over too soon. A great band and all attended this night will return in the fall, I’m quite sure of that. 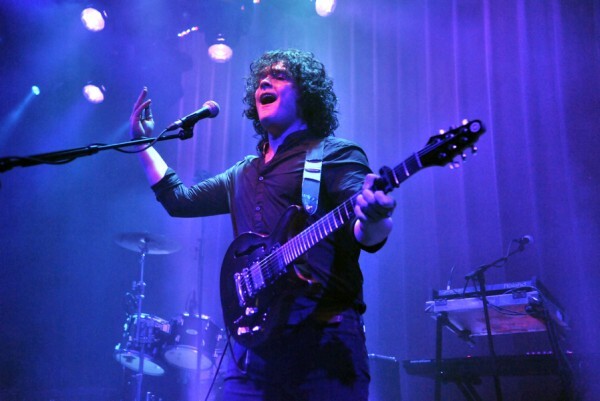 This outfit really works hard to deliver something special each night they perform and that makes Anathema one of the best bands in the new Millennium. The band will play a number of shows throughout the UK in September, they play in Antwerp (Belgium) on October 1st and in 013 Tilburg (Netherlands) on October 17th and in Utrecht (Netherlands) on November 12.. Thanks to iO Pages contributor André de Waal to allow me to use his concert review.